Where history and myth collide - Assume the role of Galahad, one of the most experienced Knights of The Order, and enter a unique vision of Victorian-Era London that fuses real historical figures and events with new twists on familiar myths and legends. Danger on all fronts - Conflict rages in this 19th century London between enemies new and old. Rebels declare all-out war on The Order and the police state they represent, while mankind's true enemy, a powerful and ancient foe known as Half-breeds grows in strength and numbers in and around the city. Advanced technology - Wield cutting-edge weapons and gadgets like the Arc Gun, Thermite Rifle, and Monocular, as you struggle to maintain peace and order amidst the growing civil unrest and Half-breed threat against humankind. 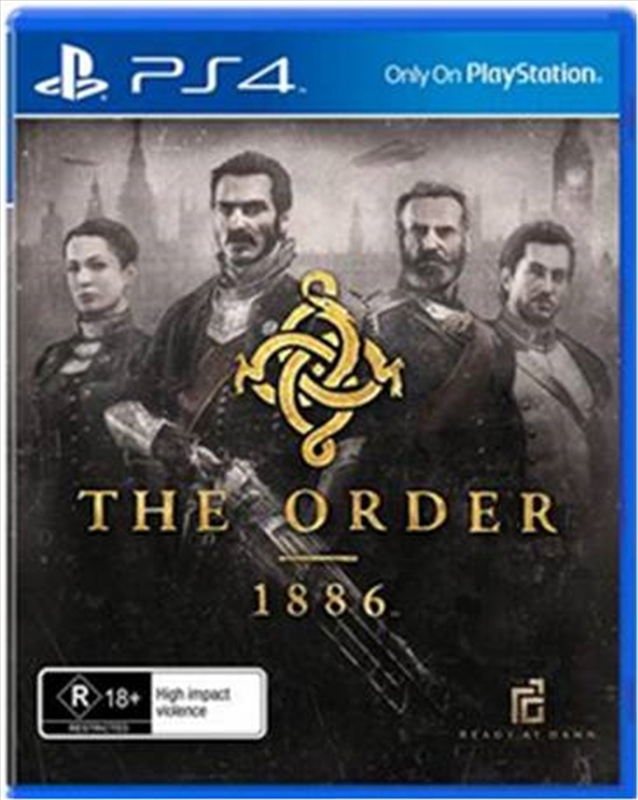 Filmic vision - The Order: 1886 transports players into the stunningly realistic and re-imagined Neo-Victorian London, replicating the nuances of actual motion picture cameras and lenses for a more immersive and believable presentation. Seamless narrative experience - Full performance capture for characters and scenes, combined with seamless transitions between action and story sequences, work together to bring the rich narrative, rife with conspiracy and intrigue, to life.